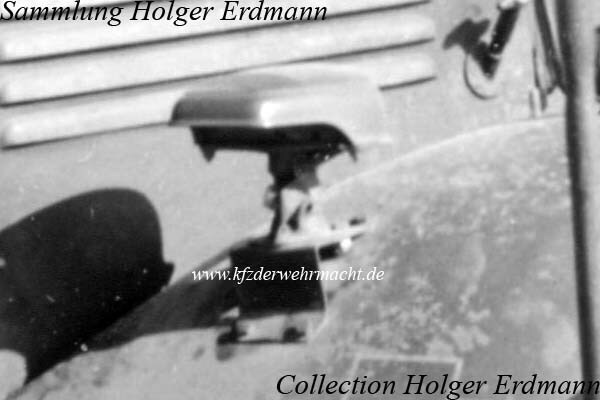 On this photo, one can see the regular attachment of the camouflage-headlight on the left fender. 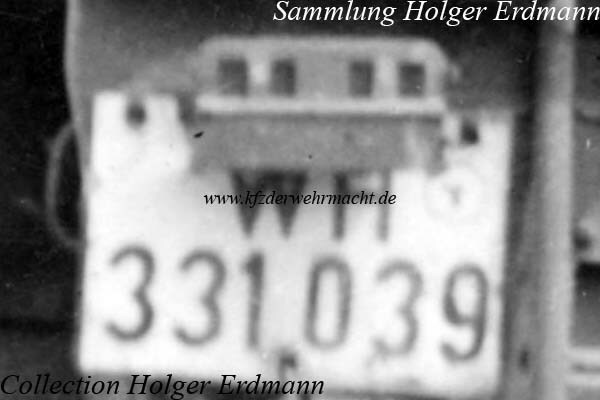 On this photo one can see the distance-rear light attached on its regular position above the number plate. When the distance-light was activated, the opening for the number plate lighting had to be closed. The rear / break light was in red colour and the distance-light was in green.